Made specifically for optimum usage when making custom printed hard covers and cases using the Fastbind Casematic services case maker! 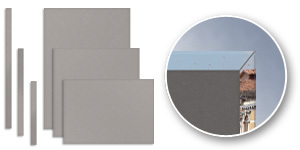 Fastbind grey boards are pre-cut to the most popular sizes; Portrait, Landscape and Square.These are able to be ordered in whatever quantities are needed to finish the job. The quickest method of producing Hard Covers, Cases and Ring Binders. 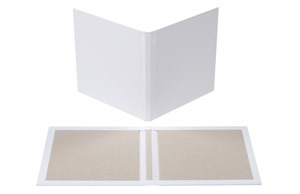 Simply place and wrap the printed graphics around the Express blank case, and your cover is done! Making personalized hard covers, ring binders and cases with Fastbind Express Blank Cases™ is easier than ever! Laminating Rolls are manufactured of special OPP material that will create very thin (24 micron gloss/35 micron matt) laminating layer. Fastbind Laminating Rolls are available with matt & glossy surface. 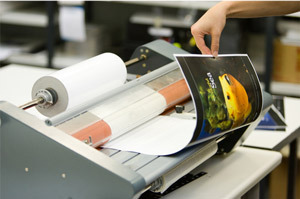 They are used for exclusive quality print surface finishing.